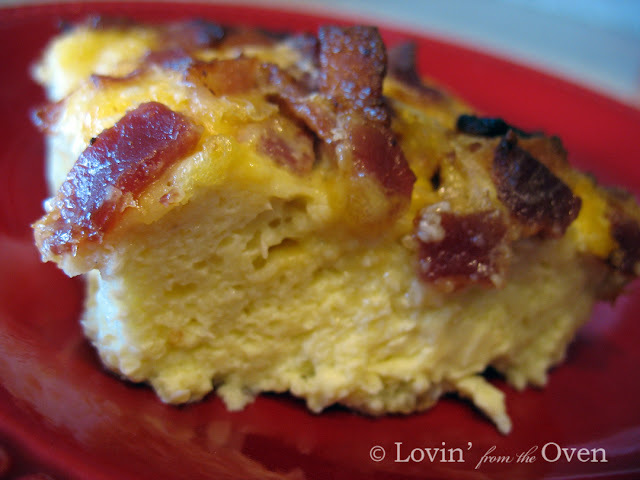 This recipe is a family favorite and a lot easier to make than quiche! It is a good way to use up any of your bread, especially if it is older or stale. Just remember to make it the night before if you want to enjoy it the next morning! Look at how puffy and golden this is! Cook bacon or sausage. Crumble and drain. Put in plastic baggie and set in fridge. Butter a 9x13" pan. Put bread cubes in. Sprinkle with cheese. Combine eggs, milk, mustard, salt, onion and pepper. Mix well. Pour over the cheese. Push down any exposed bread cubes into the milk mixture. Cover with plastic wrap and place in the fridge over night. Preheat oven to 325 degrees. 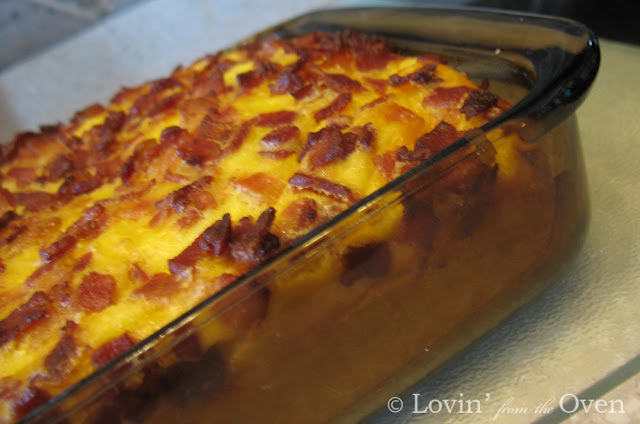 Put bacon or sausage on top of casserole. Cook uncovered for 1 hour. Ten with foil during the last 10 min. to prevent over browning.